A piece of Plymouth Rock. A lock of George Washington’s hair. Wood from the cabin where Abraham Lincoln was born. Various bits and pieces of the past—often called “association items”—may appear to be eccentric odds and ends, but they are valued because of their connections to prominent people and events in American history. Kept in museum collections large and small across the United States, such objects are the touchstones of our popular engagement with history. In Sacred Relics, Teresa Barnett explores the history of private collections of items like these, illuminating how Americans view the past. 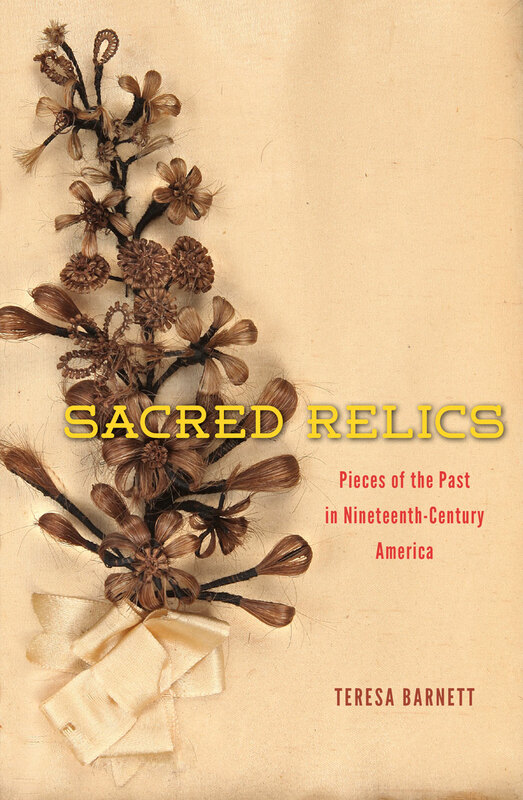 She traces the relic-collecting tradition back to eighteenth-century England, then on to articles belonging to the founding fathers and through the mass collecting of artifacts that followed the Civil War. Ultimately, Barnett shows how we can trace our own historical collecting from the nineteenth century’s assemblages of the material possessions of great men and women.